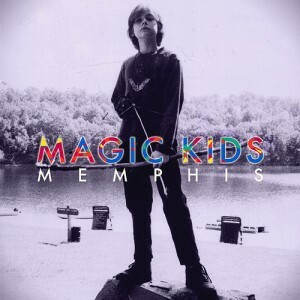 I first became acquainted with Magic Kids back in February when they opened for Girls at the Bluebird in Denver. What I wrote then about the energy, geeky-excellence and pop-fueled throwback music applies fully and truly to their new release Memphis. The disc is a charming mishmash of '50s- and '60s-influenced pop rock, that falls into somewhat predictable, if always delightful, standard song structures. This music is by no means experimental or entirely new, but to dock Magic Kids praise for grasping their influences so well that they've created their own collection of satisfying music would be unfair. The band's use of sleigh bells, piano, harmony, horns and steady drumming leads to an album that has a certain instant appeal. Sure, in a way, this music is a lot like the earlier work of the Apples In Stereo mixed with surf-rock tendencies, but it seems that several pop artists reach great heights by peddling the wares of their predecessors (Lady Gaga, Britney, Katy Perry, et al.). What Magic Kids does well if bring child-like wonder and honesty to these songs. This is sweet, timeless music, that shows maturity sporadically in the lyrics, but never tries to push harder than necessary to serve its point. And there is something beautiful about an album that is complete, nostalgic and enjoyable running out songs that average about 2 and half minutes each. This is highly consumable, and delicious. The opener, a poignant user of sleigh bells and violin called "Phone" starts the album on a bright note that contrasts the pseudo-sadness within the track. It's about waiting by the phone for a love to call, but the song sells itself as the picture of happiness and energy through upbeat delivery. "Candy" comes next, with beautiful female vocal backing harmonies and a touch more fuzz bringing contemporary flair to an elementary pop track. And then there's the single "Superball." It's another track about love, using the toy as a metaphor for the bouncing around and novelty in games of the heart, but despite its catchy-ness, it has a tendency toward grating. Magic Kids do a great job dialing it back after these quick openers. The next two tracks, "Hideout" and "Summer" both create the kind of rock "slow dance" songs you'd expect in the 1950s of remade a Back To The Future. Both play on the sadness and sweet, simple romance. But "Summer" ends in a solid and interesting break-down that caps the song perfectly. These are songs that feel like one part the Beatles, one part Big Star, one part early Beach Boys. "Hey Boy" is a strong call-and-response track with the perfect touch of old styling to precede the catchy, but easily discarded "Good To Be." Then "Skateland" comes and brings out all the dramatic, theatrical touches, loaded with piano and strings, and a nearing disco beat, and then grinding electric guitar and synthesizer. This may be the most challenging, and experimental album on the record with its art-clumsy changes, but the frame remains largely the same by the end. "Sailin'" is a jazzy track, punctuated with piano and a sweet story of getting away by getting out to the ocean. It's about escape, and that's really the core of the album. Escape through enjoyment, and nothing seems quite so free as the music that started rock and roll, the music prior to the mass-jading of society. The album closes on "Little Red Radio" and "Cry With Me Baby": two strong tracks that put a cap on the nostalgia with the proper fuzz and bravado (the former) and the call-back to tradition with horns and quick, unadorned electric guitar riffs (the latter). This is an album that is by no means perfect, but it is fun. And when you consider the effort involved in emulating bygone themes and styles, rather than trying to shatter molds, this is an album that is nothing but a success. At its worst, it's worth a some casual internet listening and at its best, it demands ownership and replay. This is a sort of sonic photograph of youthful goodness that's worth capturing.